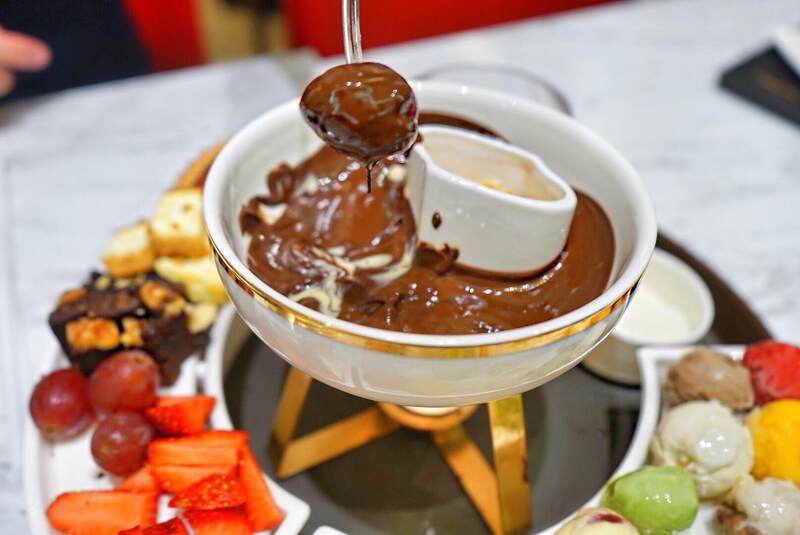 It’s easy to imagine the kitchens at Häagen-Dazs as some sort of magical fantasy workshop with hardworking elves creating and experimenting with new and exciting flavours each festive season. This year is no exception, with the great minds behind the flavours coming up with two brand new and thrilling ones now out on the supermarket shelves – the Häagen-Dazs Festive Mochi Flavours, comprising the delightfully rich Cream Cheese Mochi flavour and the decadently robust Tiramisu Mochi flavour. And while we absolutely loved these innovative flavours eaten straight out of the tub, nothing quite beats heading down to one of their outlets to taste these new festive themed flavours as part of a range of yummy sundae creations! At first glance, mochi and ice cream may seem like an odd combination. 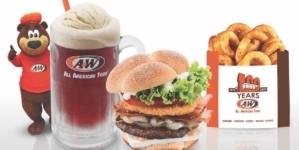 That’s why we were honestly surprised at how well these two ingredients came together, with the chewy mochi bits adding a yummy bite to the frozen goodness of ice cream. The Häagen-Dazs Cream Cheese Mochi Ice Cream offers delicate hints of cheese, which delivers the authentic, light, velvety taste of a fluffy cheesecake. 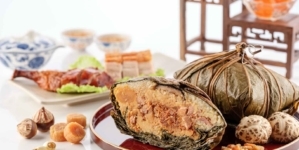 Between each morsel of ice cream, you will chance upon small, chewy bites of steamed Taiwanese Mochi pieces. The result is a uniquely soft and chewy ice cream indulgence. 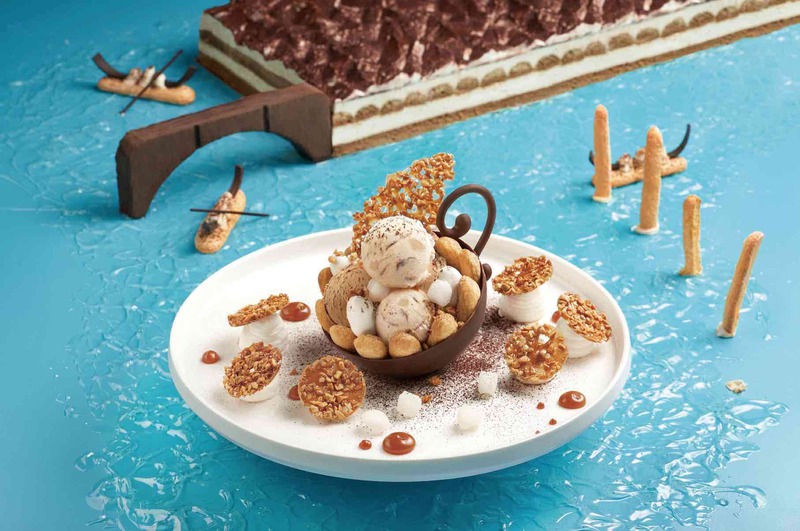 The other flavour – Häagen-Dazs Tiramisu Mochi Ice Cream uses real Italian Mascarpone, and again features the delectable steamed Mochi pieces from Taiwan. 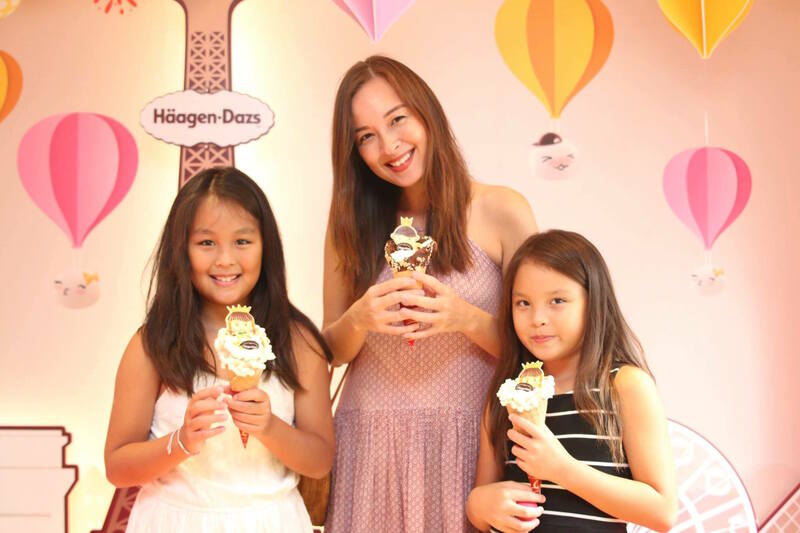 The pints are priced at $14.50 and individual mini cups at $5.90 and are available nationwide for Haagen-Dazs stores and supermarkets, hypermarkets and convenience stores. 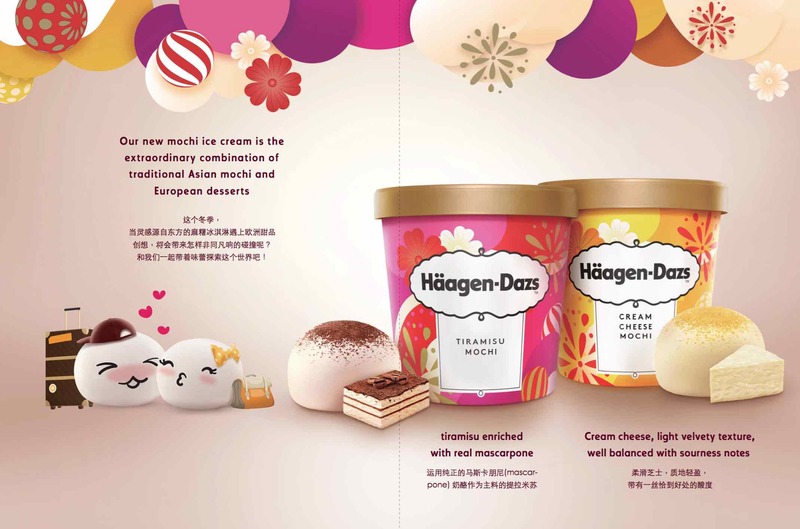 Going beyond just the retail pints, Häagen-Dazs festive mochi flavours have been thoughtfully infused into their new Winter Explorer Menu across their outlets! 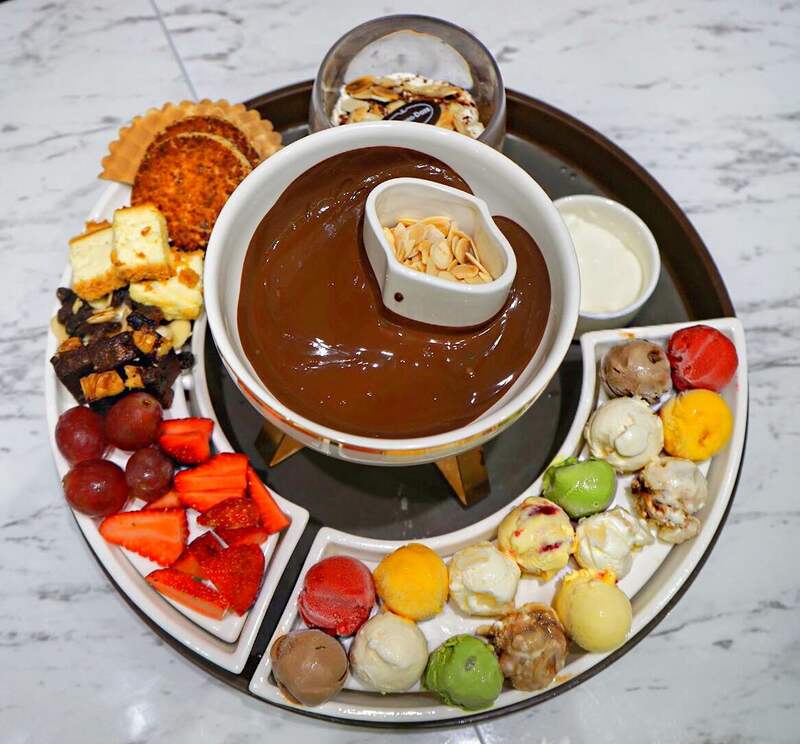 The So Mochi Together Fondue (46.00 with 2 Selected Coffee or Tea) offers a lovely afternoon tea experience for dates, or a casual gathering with friends. It was quite a sight to behold. 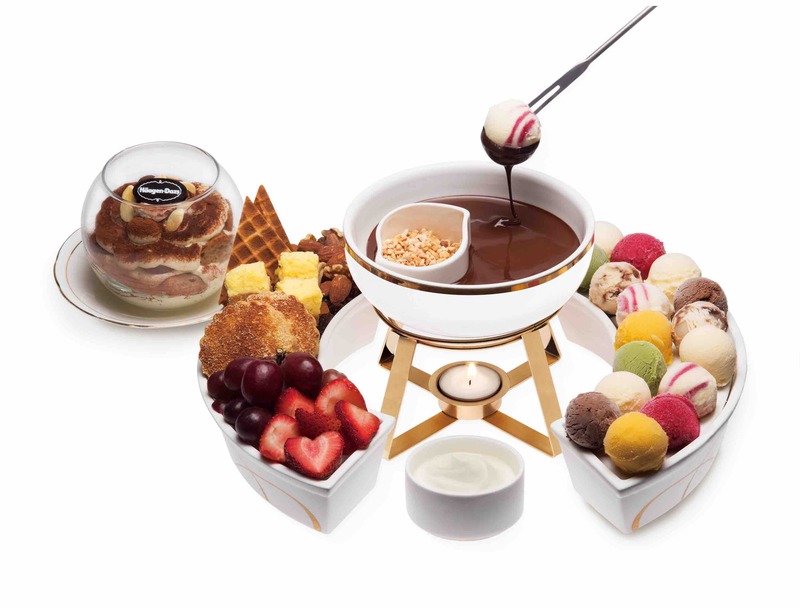 The fondue set comprises mini scoops of Tiramisu Mochi, Cream Cheese Mochi, Vanilla, Belgian Chocolate, White Peach & Raspberry and Green Tea ice cream as well as Mango and Raspberry Sorbet, as well as a range of fruits, cookies and cakes. Dunking the ice cream and other goodies into the yummy dark chocolate ganache was surprisingly satisfying. Look at that luscious coat of chocolate. 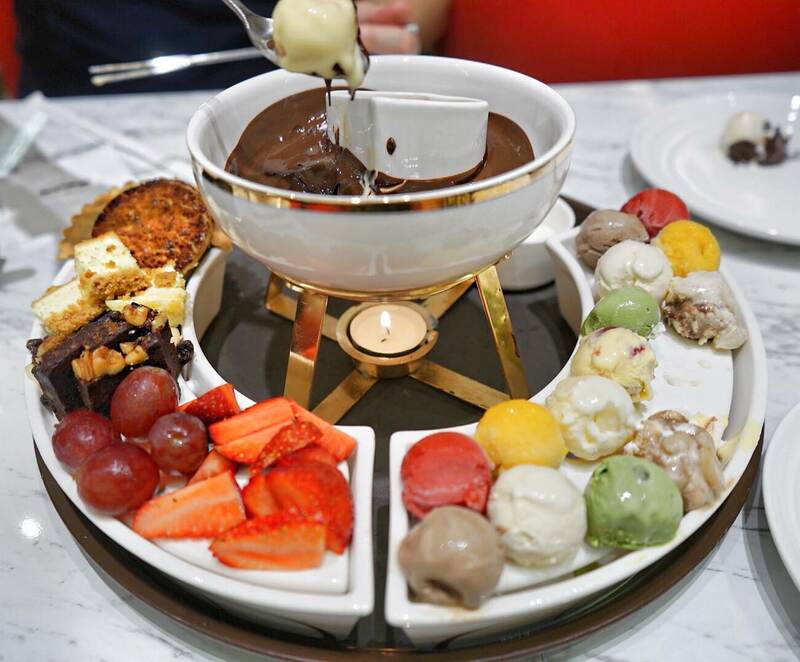 Our advice – go for the ice cream first, then you can take your time with the fruits and cookies. Things can get messy if you do the reverse! Feeling adventurous, we ordered a Bistro Paris ($21.90) too. 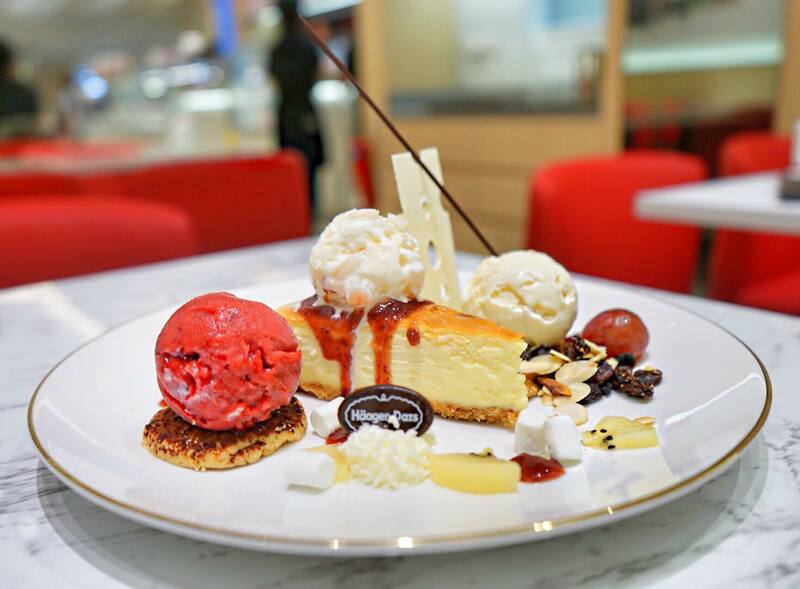 The cheesecake was accompanied by Cream Cheese Mochi and Macadamia Nut Ice Cream as well as Raspberry Sorbet. The raspberry sorbet provided the balance to finish off the sweetness from both the cake and the ice creams. There are more delightful creations within the Winter Explorer Menu. Simply walk into any of their outlets for a pampering sweet treat. 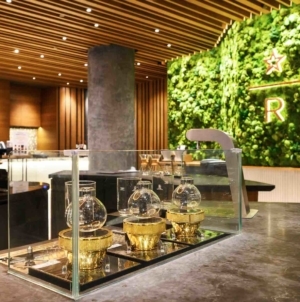 The Häagen-Dazs Pop-Up Store on Orchard provides a lovely hideaway on the bustling shopping street to enjoy a fun-filled exploration of the world of Häagen-Dazs at Christmas time. 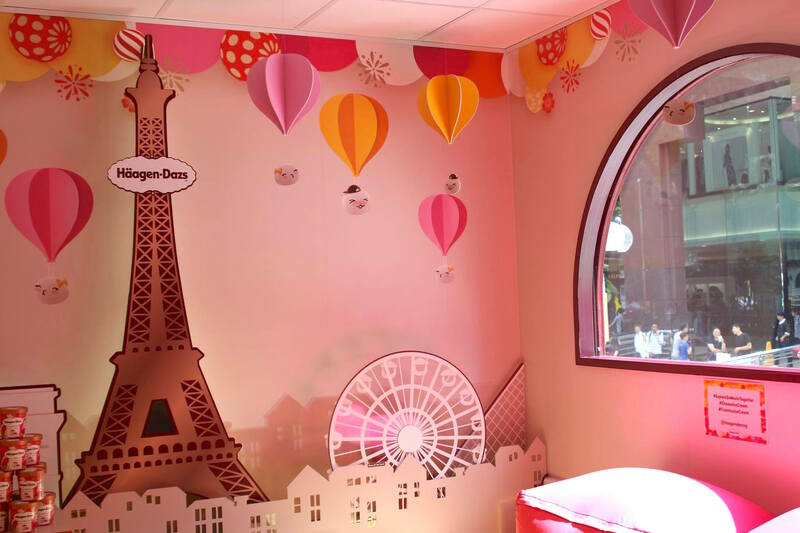 You get to enjoy and explore a variety of Häagen-Dazs worlds together with your loved ones — from the Parisian café inspired area to enjoy ice cream, to “Mochi Land” a fantastical area of whimsy to ignite the imagination and fun times. While you are at the pop-up store, have fun with Create Your Own Cone ($14.90) – a delicious confection comprising both festive Mochi flavours, toppings of your choice and a Prince or Princess white chocolate topper. Last but not least, you and your loved ones can pick up an exclusive Häagen-Dazs Passport in the Pop-Up, encouraging you to participate in activities and get a chance to win prizes and discounts. 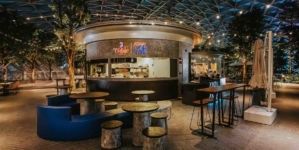 If you are heading over for the Winter Explorer Menu or Pop-up Store in Orchard, do remember to take lots of photos and hashtag #ExploreSoMochiTogether #HDandMe when sharing on your social channels. Have a jolly month this December! 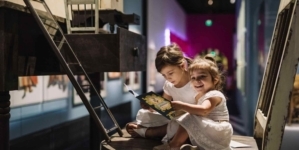 Marina Bay Singapore Countdown 2019 – Your Best New Year’s Eve Yet!